We’re delighted to welcome Karin Schimmelschulze, Managing Director of German Advantage, as a regular guest blogger. 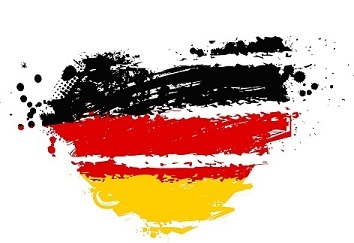 In this article, Karin discusses work ethics in Germany compared to the rest of Europe. Sunday night, another 60 hour working week lies behind me and all I want is a glass of wine and good company. Setting up German Advantage Ltd. in the UK in 2003 included cleaning holiday cottages, working as a farm hand and doing dry stone walling whilst developing the business. Why? To initially make ends meet and to achieve what I set out to do: make communication between the UK and Germany as good and easy as it can and should be. German work ethics are based on the Wirtschaftswunderjahre or Economic Miracle Years in the 1950s when the economy picked up big time and the country began to flourish. The 1960s saw Germany invite workers from other countries – mostly Turkey and Greece – to do what can only be described in an un-PC way as blue collar work while they focussed on the management and further development of the economy. As an industrial powerhouse and leading manufacturer not just in several industries including automotive, renewable energies and recycling, the question has to be asked: how do they do it? Employees in Germany tend to identify themselves with the corporation or company they work for. The time spent at work is there to work. The idea of small talk over a cup of coffee is fairly alien because there is a clear and strict divide between work and leisure. Protection for employees is more extensive than in most other European countries and the Gewerkschaften = unions maintain powerful positions where arrangements between employers and employees are concerned. Being a member of a union is almost a prerogative in larger industries and sectors where there are tens of thousands of employees to be looked after. Communication in Germany is very straight, to the point and direct, particularly in the workplace where it is all about getting the job done. It may take a bit longer to get started as meticulous planning is part of the delivery but once started, there is not much stopping the workflow. The working hours per week in Germany are by no means the highest in Europe, there are more public holidays and flexible working hours help parents balance kids and work. The high level of parental protection is probably one of the reasons why women are still underrepresented in boardrooms and pay & power inequalities exist. Why is it then, that Germany is the European powerhouse? People work hard and play harder. There is a clear divide between work and leisure, clubs are more loved than TV and socialising is the leisure activity No.1. Working hours are spent working – and nothing else: focussed, diligently, efficient and with a zero-tolerance approach to surfing the net, having another cuppa, calling a mate or writing the shopping list. Success seems to breed motivation and I am happy to motivate you and support your business in pursuing your success in the German market through the services of German Advantage Ltd. The 5 Step Business Plan is the result of constant adaptation, an open mind and dare I say it: good work ethics. Please contact me via the website www.germanadvantage.co.uk.